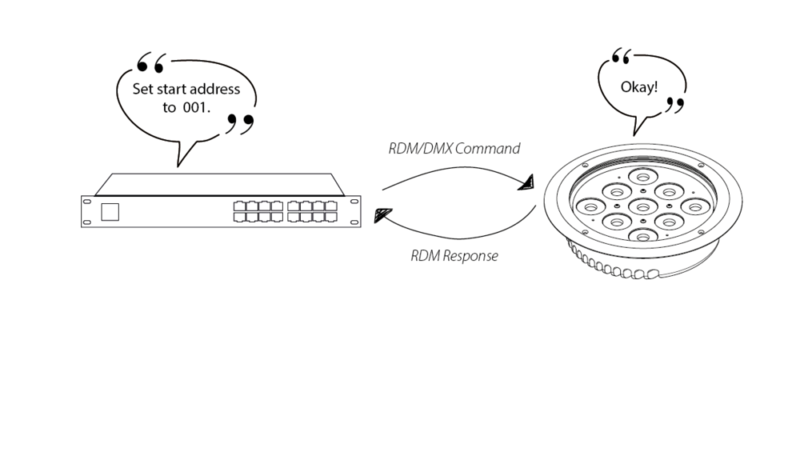 RDM (remote device management) is a protocol designed by a task group under the overview of the ESTA Technical Standards Program to enable two-way communication over DMX. It might sound complicated, but in practice it’s quite straightforward and can be an invaluable tool for lighting designers. Having two-way communication means that the lighting fixtures can send data back to the controller rather than just receiving commands. To use RDM, you just connect your DMX light fixtures and controllers as you normally would. The only difference is that to use RDM, both the controllers and light fixtures must be compatible. 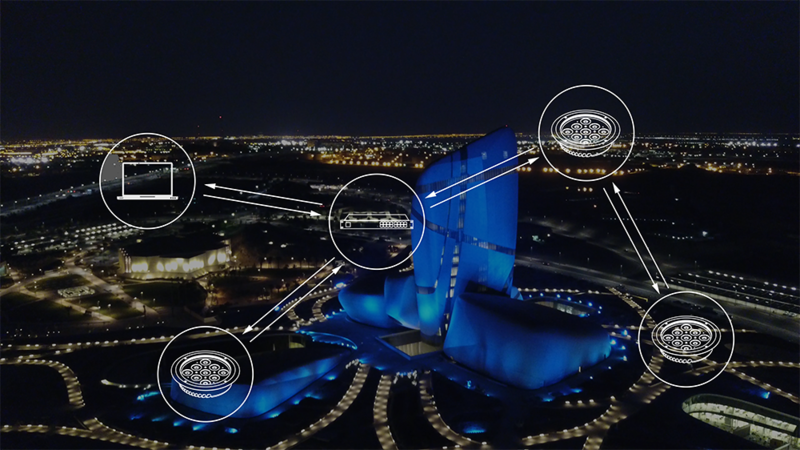 Once the system is connected, your controller will recognise the RDM fixtures connected to it and will give you access to several parameters that can be accessed from RDM (called PIDs). What these are varies depending on the fixture but there are certain PIDs that are standardised across different manufacturers. What can I use RDM for? RDM can give you information about each fixture connected to your controller. For example, you can find out the manufacturer and model of a light fixture, the serial number, along with other useful information. You can also use RDM to change the DMX address of the fixture, so you can easily work out which fixtures are which. Remote Device Management can also provide useful data reporting, like the temperature and humidity of fixtures – particularly useful for monitoring long term installations and spotting potential failures before they happen. Which Products Can Use RDM? RDM works with Pulsar Luxeos 09, Luxeos InGround 09, Luxeos 18 and Luxeos 36 luminaires, and with both Pulsar VC (Vivid Colour) and VW (Vibrant White) light engines. LuxRAMP also works with custom LED populations in our Luxeos products.